With our team of professionals, we are engaged in delivering Cable Coiler Machine to our valuable clients, in recommended time frame. 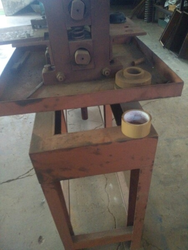 Supported ourselves with proficient amenities, we are readily instrumental in providing an inclusive variety of Automatic Spring Testing Machine. 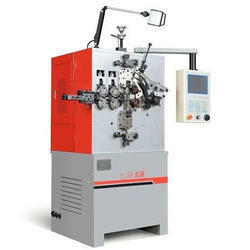 We are engaged in manufacturing wide range of Metal Forming Machines such as Spring Coiling. Cold rolled coils processed in cold rolling mills have a thin Film of residual rolling oil on the surface after rolling. The alkaline cleaning of cold rolled coils by use of high current. High current (DC) ensures totally clean surface of the strip before anealing. This electrochemical cleaning process is called electrolytic cleaning and the processing line the electrocleaning line.